University of Wisconsin – Milwaukee ($59,600)Scientists at the UWM School of Freshwater Sciences received this $59,600 award in support of their project to create a novel water quality monitoring program. 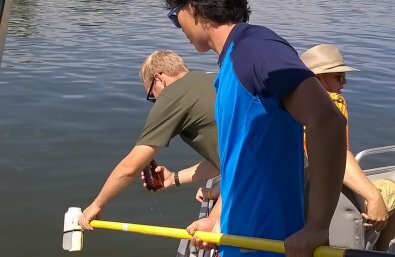 The project is modeled after SoundCitizen, a very successful program at the University of Washington – Seattle, and will involve students and other volunteers testing area waterways for emerging contaminants such as antibiotics and fungicides. The ultimate goal of the project is to involve citizen scientists in the collection of cutting-edge data, while also inspiring behavior change by showing residents how their choice of personal care products, foods, and pharmaceuticals can impact water quality in Lake Michigan and its tributaries.